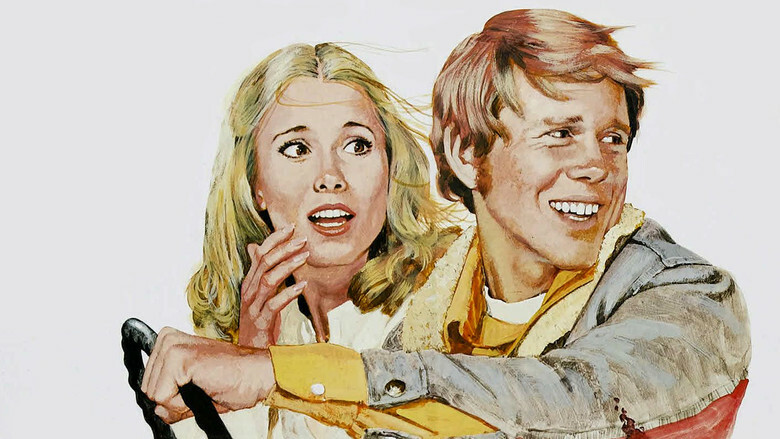 Ron Howard was already a household name when he went to work as a teenager for producer Roger Corman. Roger Corman is famous for knowing how to turn a good idea into a very low budget movie. He concentrated on action, sci-fi and horror aspects and many times mixed them whenever he could. He also had a bargain for actors that worked, “…act in one movie and I’ll let you direct one.” He did this with budding actor-turned-director Ron Howard and both of them got boosts in their careers and we got 2 of the craziest car chase movies ever to be made; Eat My Dust (1976) and Grand Theft Auto (1977). 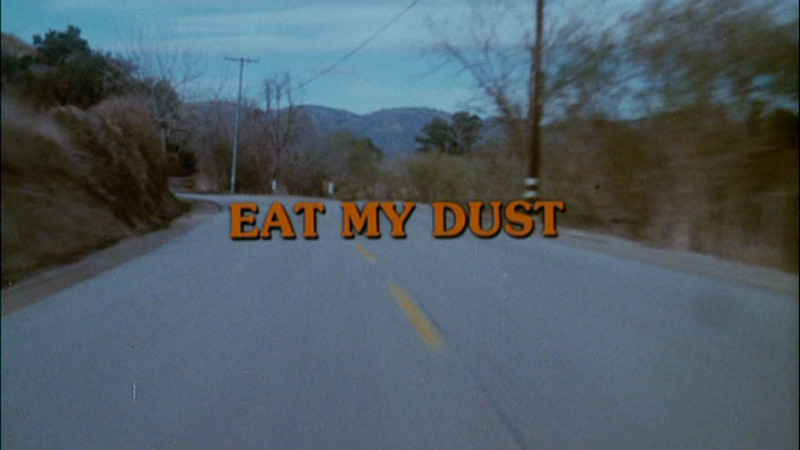 Charles B. Griffith, the screenwriter, came up with the title of the film when the crew were shooting the car chase at the sand dunes. The crew got covered with sand and dirt so much that Griffith turned to Roger Corman and said “We ought to call this picture ‘Eat My Dust'”. The original title for this film was “The Car.” The movie took 4 weeks to shoot. Ron Howard did all of his scenes in 10 days. A body double drove the car for the rest of the filming. The film was shot for only $300,000. Much of what makes this movie good can be attributed to Charles B. Griffith imaginative script and to the fantastic stunts in the film. Griffith was paid a paltry sum for his work with Roger Corman, but over time became a legend for independent filmmakers. Quentin Tarantino dedicated his film Deathproof (2007) to Griffith, whom he referred to as one of his main influences and called “the father of redneck cinema”. He also is often cited as the father of American black comedy, due to his screenplays for A Bucket of Blood (1959), The Little Shop of Horrors (1960) and Death Race 2000 (1975). 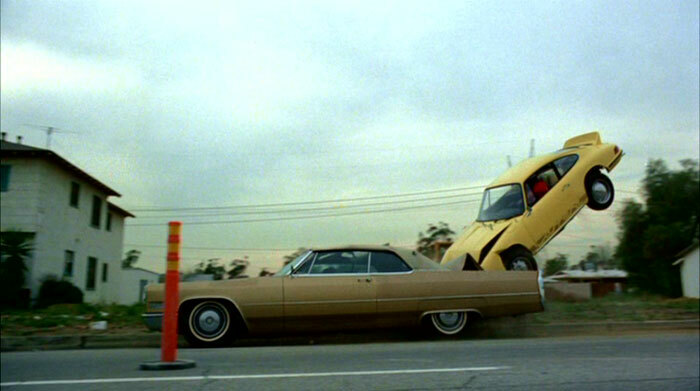 Eat My Dust did well at the box office, so Roger Corman gave Ron Howard double the money to direct the next car crash spectacular, Grand Theft Auto, which was still a very low budget for movies, even back then. Ron Howard asked Roger Corman to hire more extras for the crowd scene at the end of the film. Corman said no because he did not want to go over budget. 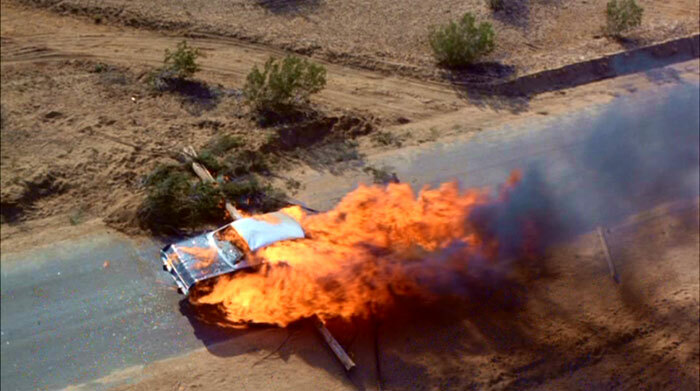 They also had a very short schedule on this film, for example, the demolition derby sequence was done in a single day. This film also has the added historical value of being the only film that Ron Howard directs and acts in at the same time. He moved permanently behind the camera soon after and never really went back. This film started his wonderful career as a director and went on to make over $15 million at the box office, not including what it did on TV, Video or DVD. A big hit all around for Roger Corman.